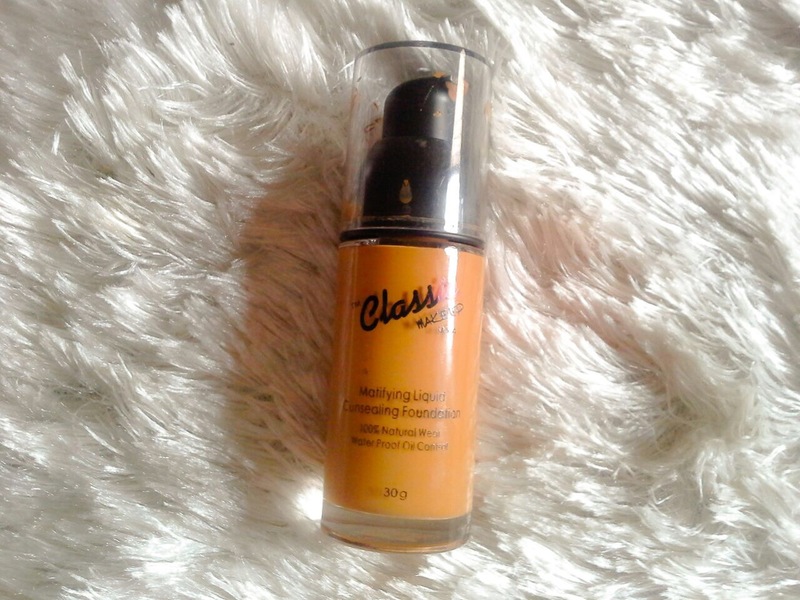 Today, I’ll be reviewing the Classic Mattifying Consealing Foundation. I bought this foundation some weeks ago as a “Hail Mary” when my Maybelline Fit Me Matte + Poreless foundation(review here) got too dark for my skin. The foundation itself is very thick and creamy, it’s so thick that it’s difficult to apply and blending it is such a task. 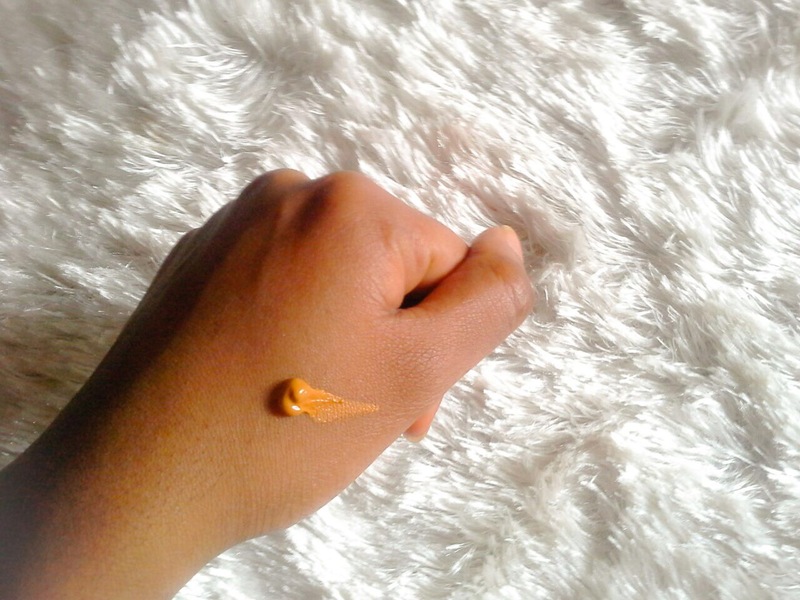 It is a medium coverage foundation (not buildable to full coverage). 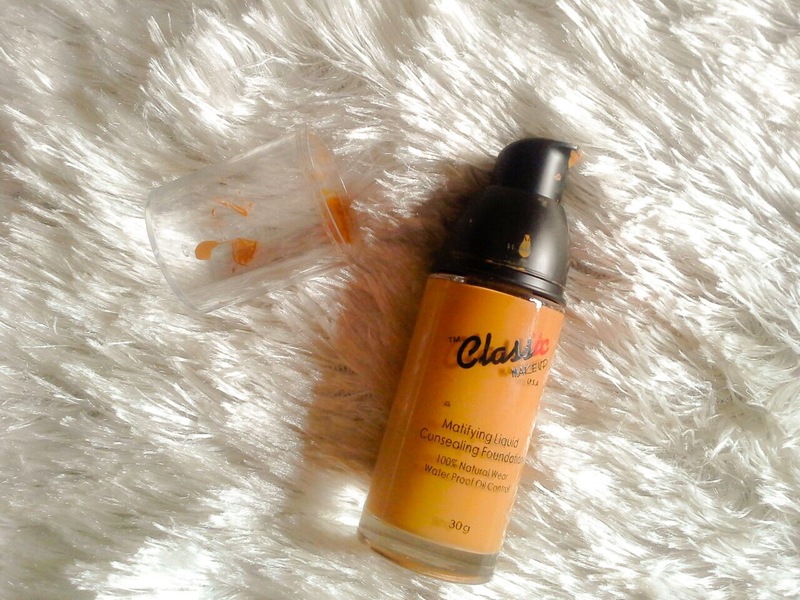 It is a mattifying foundation which makes it very good for people with combination to oily skin. However, I do not like the finish of this foundation; it gives a drying finish on application. It also has good wearing power and lasts all day. It transfers (everytime I tapped my oily T-zone, it stained my fingers). Personally, I wouldn’t buy this foundation except I was in a bind(like I was). I find that it works way better when I mix it with my Maybelline Fit Me foundation or when I wet my brush with setting spray/oil.On the bright side, it is sooo affordable!! I score it a 6/10. Where to buy: Most makeup/ beauty shops near you! Thoughts…comments..pls leave them below, I’d love to hear them all! I appreciate you beauties and thanks for reading! This foundation is very affordable, brilliant finish but is a nightmare for an oily girl like me. Tried it on, gave me a fantastic finish, I felt like a super star but hours later, OPEC meeting was held on my face. If you are a dry girl or have good combination skin, purchase and enjoy but Oily girls flee! Like me tooo…was in a fix n d classic foundation came in handy, was excited bout the matte appearance wen I was done applying, felt like I cud fly to d moon n stay there… i was in d car all sucked up in the cool ac…n barely few hrs my face was already practically melting off at the slightest step I took out walking. Will try it again with som other ‘make-up lasting trick ‘ n see wat happens after 3hrs again! Don’t mean to rant oo, but ur blog jus created me d platform to scream without disturbing any1 here close to my room . Hi Zee…I’m glad someone else feels the way I do. By far the worst foundation ever!it is horrible . My face was litterally melting an hour after application. I should have know something was up when this is a “conSealing foundation”. 😂😂😂😂Pele my love!!! I totally understand the feeling…lol.